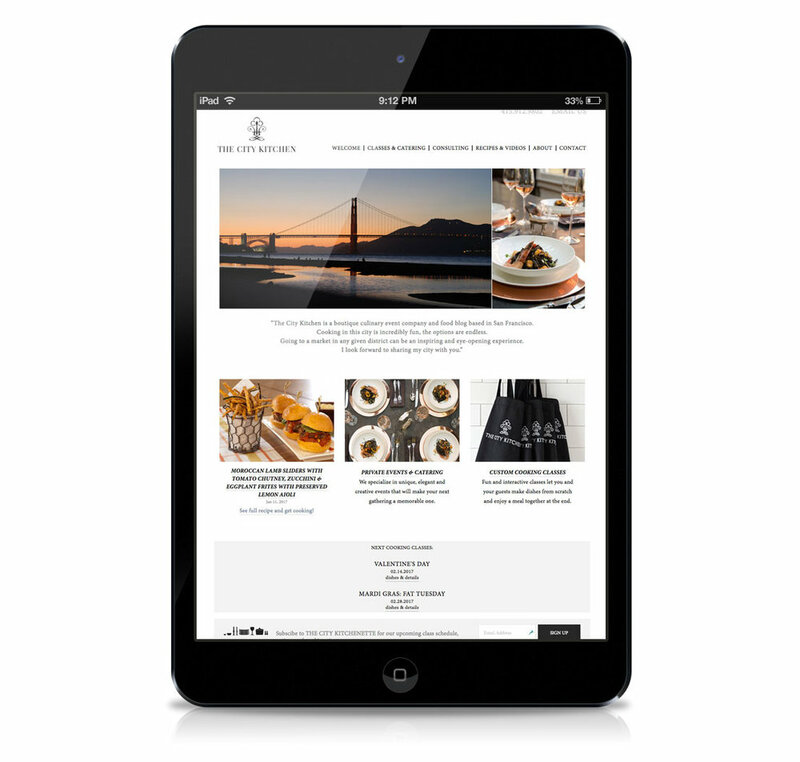 Longtime client The City Kitchen, a San Francisco company offering custom catering and cooking classes, was ready for an update since Rena B designed the original website six years ago. 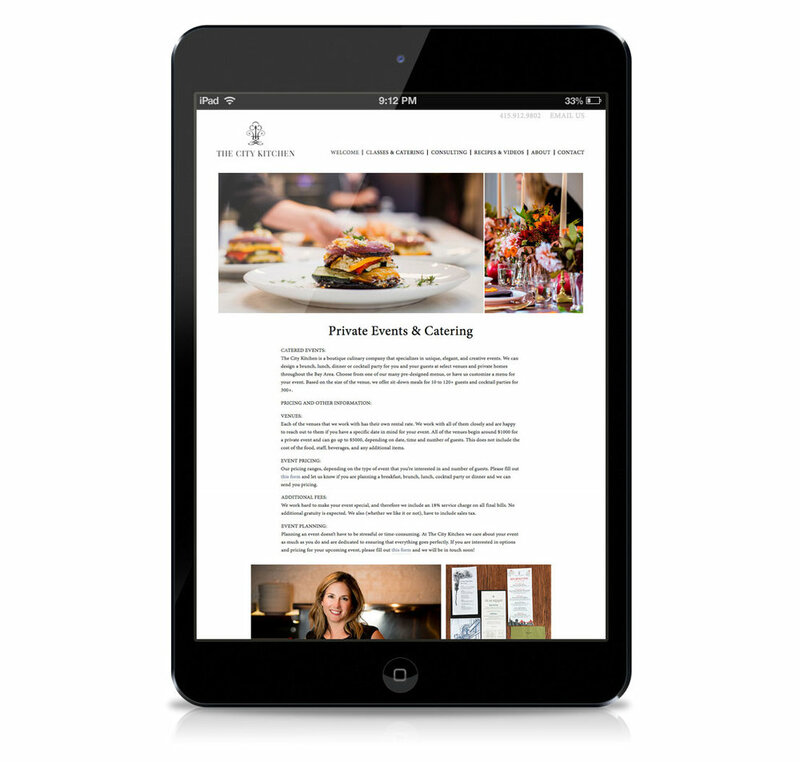 Keeping the simple, elegant logo and overall branding they were still happy with, this time we created a site with responsiveness on the (heavily customized) Squarespace platform to allow these busy ladies to make their own updates quickly and easily. We also added new original photography, as before, most of it shot by Rena B. With a Blog full of recipes and video tutorials, frequently changing classes to sign up for and their integrated Instagram feed, this site provides readers some tasty bites to chew on.